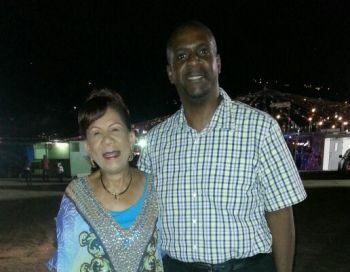 ROAD TOWN, Tortola, VI – Representative for the First District Honourable Andrew A. Fahie has hailed the selection of VI royalty Mrs Patsy C. Lake as this year’s Festival honouree for her contribution to the annual event over so many years and her involvement in several other important areas. 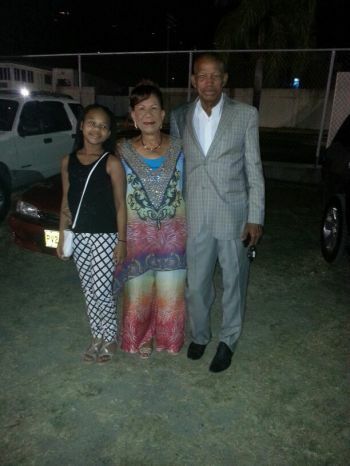 He made the comments while on the side-lines of the opening ceremony for Festival 2015 at the Patsy Lake Festiville in Road Town on Monday July 27, 2015. “Tonight I celebrated with Mrs Patsy C. Lake as the 2015 Road Town Festival Village is named in her honour: Patsy Lake Festiville 2015. Mrs Lake has been a cornerstone in many respects in the celebration of Festival in the BVI for well over 30 years plus,” he said. “She is also one of our national Icons as she was part of the Positive Action Movement which was led by the late but great Noel Lloyd. They put their lives on the line to fight to get Wickham's Cay back into the hands of the people of the Virgin Islands after the then Government of the day had practically given it away to foreigners,” he said. “I commend all involved who had a hand in naming the 2015 village after Mrs Patsy Lake,” said Honourable Fahie. Earlier in the night, many accolades came Mrs Lake’s way from Chairperson of the Virgin Islands Festival and Fairs Committee Kishma A. Baronville and also from Minister for Education and Culture Honourable Myron V. Walwyn all of whom lauded Lake for her work over the years, not only in the field of fashion and culture but in the areas of business and real estate. Mrs Lake, as many would know, was one of the driving forces behind the Positive Action Movement March of 1968, the group that was credited with saving large portions of Wickhams Cay and Anegada from getting into the hands of a white developer from the United Kingdom. Alongside the Virgin Islands’ Martin Luther King- Noel Lloyd, Mrs Lake and others successfully opposed the British developer Kenneth Bates’ Wickhams Cay and Anegada development projects in 1968. Mr Bates had planned exclusive luxury leisure projects which excluded Virgin Islanders, with the granting to him of a 199-year lease to reclaim land on Wickhams Cay and his desire to control three quarters of Anegada. She is deserving but what about Miss Rita?!!!!! 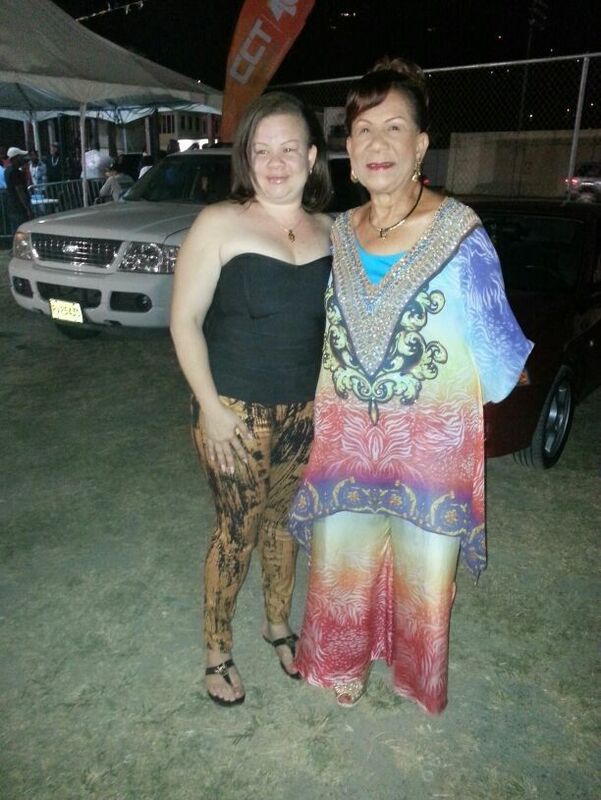 She has had a booth for many many years and I remember her winning the rice and peas competition several years in a row. If my memory serves me right everybody who had a booth AFTER her the village has been named after. This is nonsense and even unfair to that family because even Miss Rita's mother Nana the village was not named after. Give the lady her acknowledgement man. about upper level? lacker? miss rose? miss almean? miss pickering? pearla? ashley nibbs? and the list goes on and on. That's the man family; if he choose to stand by his family why should you have a problem with that? She is his aunt so i don't expect him to say any thing different. Only a mother can love that one face. "Fisherman don't call them fish stink." changing names would slowly erase history that shouldn't be forgotten. History is important. It is not all about here and now. She got her accolades from the action movement but no one talks about lindy de Castro who went to JAIL for the cause... there are others as well. She takes advantage as a celebrity but gets special privileges from the NDP. her own way. That's what she should be honored for. what else would he say about his Anty...NEXT!